This week is NATIONAL BOWLING WEEK and that’s why the BOWLING PROPRIETORS ASSOCIATION OF AMERICA (BPAA) have decided to let the fans decide who is the BIGGEST CELEBRITY PROMOTER OF THE SPORT OF BOWLING, with the celebrity receiving the most votes being entered into the CELEBRITY HALL OF FAME at the International Bowling Museum. The celebrity with the most votes on AUGUST 7th (NATIONAL BOWLING DAY) will be the winner, and YOU can vote as many times as you’d like for your favorite celebrity. 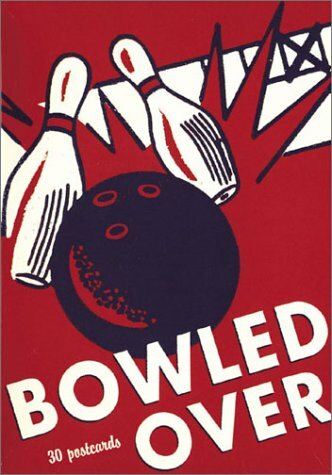 What else is special about NATIONAL BOWLING DAY? You can get a free game of bowling with this coupon! Use it on August 7th, and help set a world record for the most bowling games played in a 24-hour period. But more importantly, who are the celebrity nominees and what their vote tallies were as we head into these final few days before voting closes? Justin Bieber – Teenage heart throb Justin Bieber demonstrated his love of bowling in the music video for his smash hit single “Baby,” that has garnered nearly 232 million views on YouTube. Bieber also hosted a bowling-themed release party in New York City for his album “My World 2.0,” where he defeated R&B star and New York radio personality Nick Cannon in a bowling showdown. Taylor Swift – Since country music star Taylor Swift’s rise to fame, she has been frequently spotted and photographed hitting the lanes with celebrity friends like Selena Gomez and Cory Monteith. Jeff Bridges – Oscar award winning actor Jeff Bridges starred as “The Dude” in the 1998 critically acclaimed bowling film “The Big Lebowski.” In Bridges’ role he reinvented “cool” and the movie has since become a cult classic. Pauley Perrette – Perrette is best known for her portrayal as the lovable and upbeat gothic forensic scientist Abbey Sciuto who regularly enjoys bowling with nuns in the hit CBS series NCIS. Bill Murray – Comic genius Bill Murray starred as the memorable Ernie McCracken in the 1996 comedy “King Pin.” Since his role as the flamboyant McCracken, Murray has been a bowling icon with the popularity of his character living on through millions of Internet views. Dwight Howard – A true bowling aficionado, NBA all-star center Dwight Howard frequently hosts charity bowling tournaments in Orlando and has been honored in the pages of U.S. Bowler Magazine for his support of the sport. Jimmy Fallon – The former Saturday Night Live star turned late night talk show host regularly conducts zany segments with celebrity guests including Grapefruit Bowling with Jennifer Anniston, Drew Barrymore’s bowling ball lick and a perennial show favorite – Human Bowling. Chris Paul – NBA all-star point guard Chris Paul is an avid bowler who has served as an advocate and youth ambassador for the United States Bowling Congress. Paul, who dubs bowling his “second favorite sport” regularly runs a celebrity invitational pro-am bowling tournament on the PBA tour that pairs celebrities with professional bowlers. And here are their vote totals, as of 11pm ET, August 1st. Based on what Web Watch sees here, it’s highly likely that The Dude will not abide come the end of the week. This WEB WATCH entry was posted in News, sports and tagged Celebrity, holidays, justin bieber, News, sports, survey, World Record on August 4, 2010 by web gangsta.